Would absolutely love to win your book. Old cookbooks and recipes are my favorite! I would love to own this set of books. Thank you for your generous giveaways! These books are on my wish list. My favorite bookmarks are the old photos. 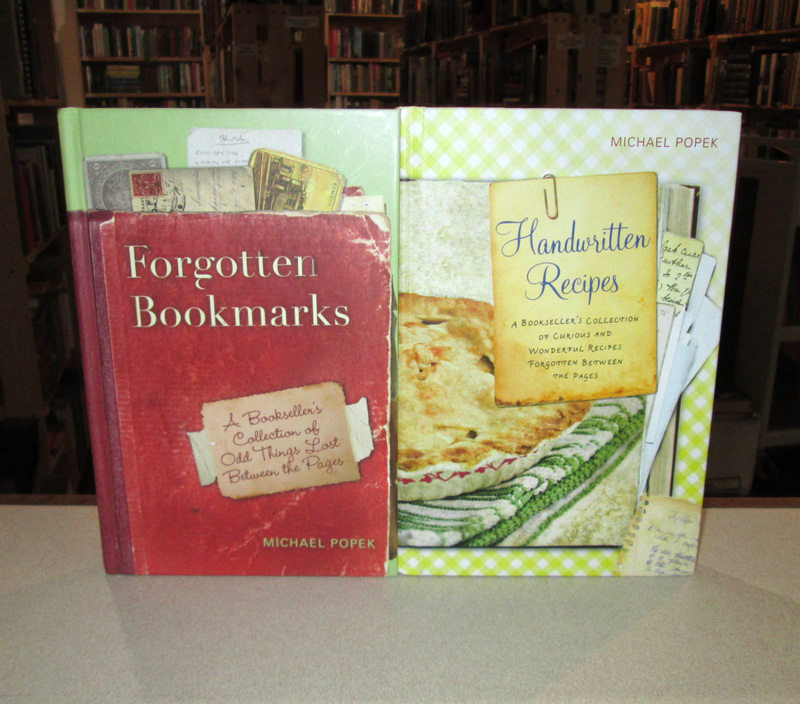 I've read Forgotten Bookmarks, but would love to own a copy, and Handwritten Recipes looks super! I would love these books for my collection! I would love to win to replace my lost cookbook collection. I may have lost my lovingly cultivated collection but new discoveries are fun, too!!! Thank you so much for offering signed copies this time...would be a wonderful holiday gift for someone! Appreciate your generosity. I'd like to put my name in the hat, please. Thanks for all the giveaways...this is always my favorite! I love cookbooks. It would be awesome to win this book. Will it be my lucky day this time? I would love copies of your books. I really enjoy your website. Would love to win these! Thanks for the chance. Would love these for my bookshelf and kitchen! New recipes are always a good excuse to spend time in the kitchen.